« Day 22: Yarn Thing! If you mostly (or only) crochet, you might not have heard about Petite Purls yet. It’s a delightful zine chock full of patterns for kids. Most of the patterns are knitted, but each issue features a couple of pretty crochet designs and usually a sewn project or two. 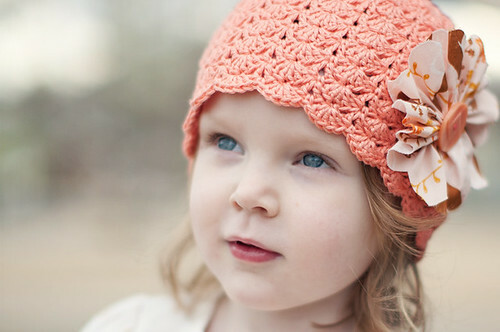 The current issue features my Little Sister Hat (which now ranks as my second most favorited pattern on Ravelry–crazy!) on the cover. The best part? All of the patterns are free! And this one? Comes in every size from baby to adult. Petite Purls is the brainchild of Allegra Wermuth and Brandy Fortune (who took the photo above), and today they are reviewing the book on their blog. Head over to get their knitterly take on Little Crochet. Thanks for sharing Lorelei! So cute!